For in-store inquiries, use sku #239099. 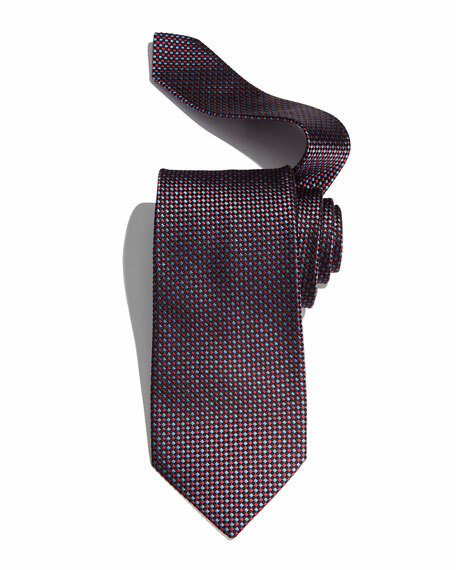 Charvet basketweave textured tie. Available in multiple colors. Silk. Made in France. Sold separately. 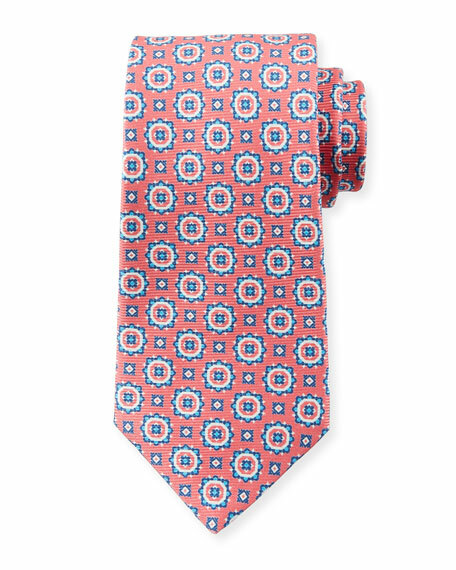 Charvet tie featuring tonal floral print. Approx. 58"L; 3.4" at widest. Silk; dry clean. Made in Italy. 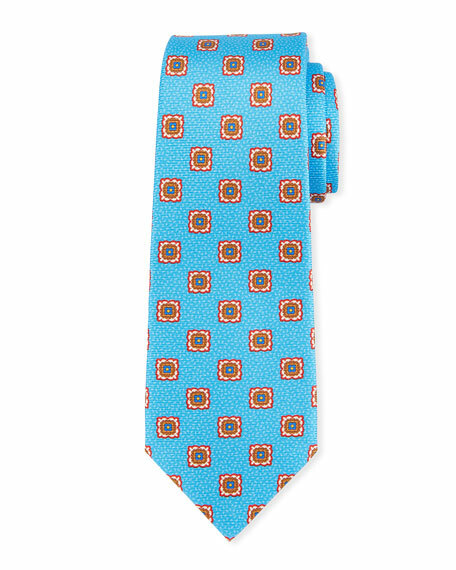 Kiton tie featuring fancy medallion print. Approx. 58"L; 3.4" at widest. Silk; dry clean. Made in Italy. 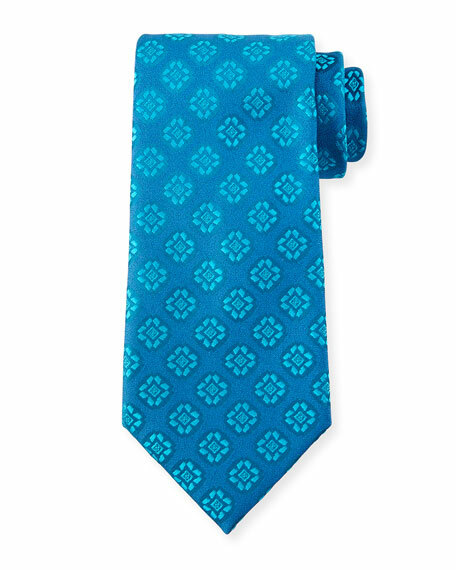 Kiton tie in circle medallions design. Greater than 3" wide. Silk. Made in Italy.